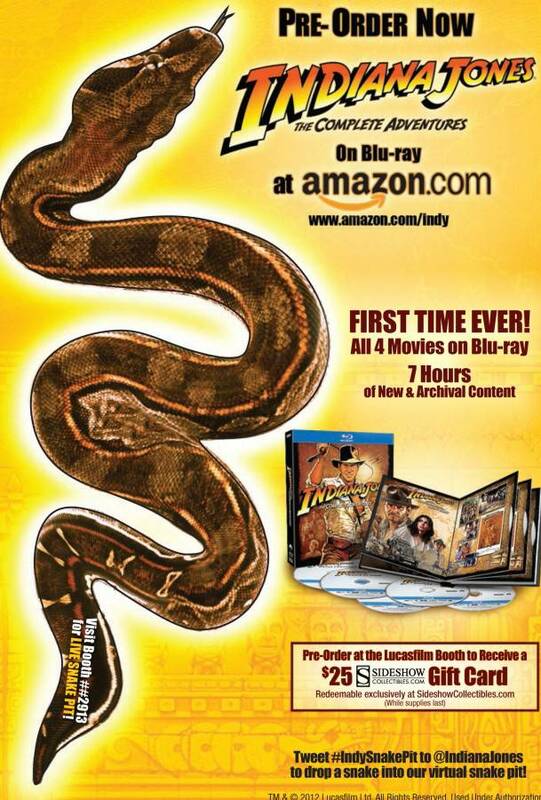 With the Indiana Jones The Complete Adventures finallly coming to Blu Ray, Paramount and Lucasfilm have designed a slithering photo opportunity for those attending this year’s San Diego Comic-Con! Read on for more details! 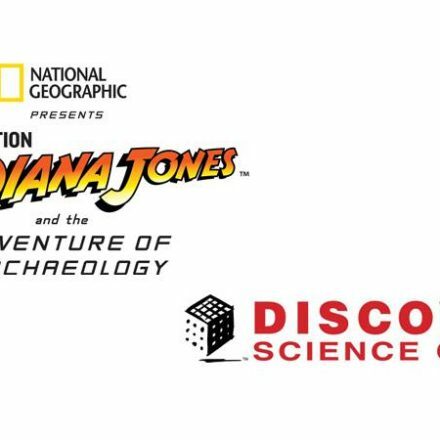 What: The adventures of everyone’s favorite archaeologist are arriving in high-definition Blu-ray for the first time this fall. 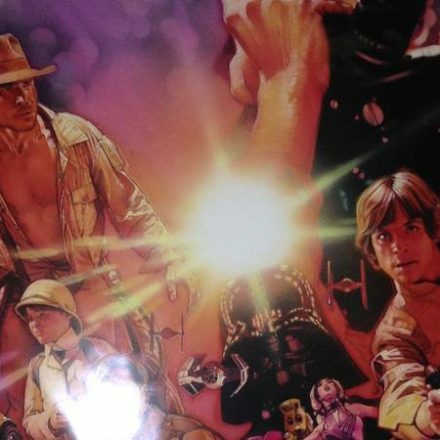 Fans attending San Diego Comic Con will have the opportunity to pose for photos with a recreation of the famous Well of Souls scene from Raiders of the Lost Ark, complete with throngs of live snakes! 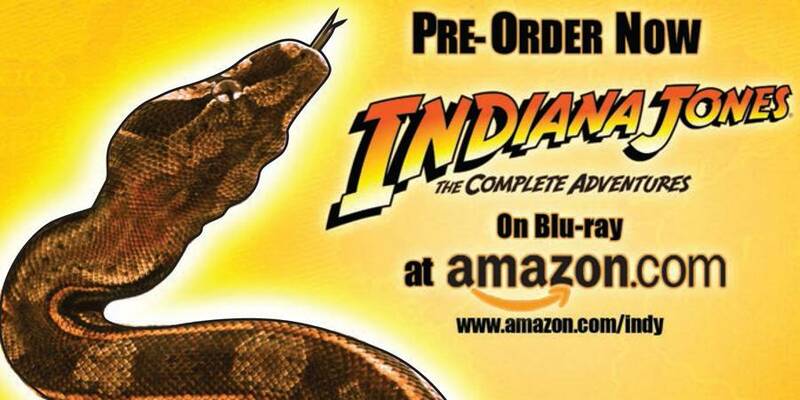 Fans who pre-order the collection on-site will receive a $25 Sideshow Collectibles gift card*. On Twitter, use #Indysnakepit to join the fun in a virtual snake pit.